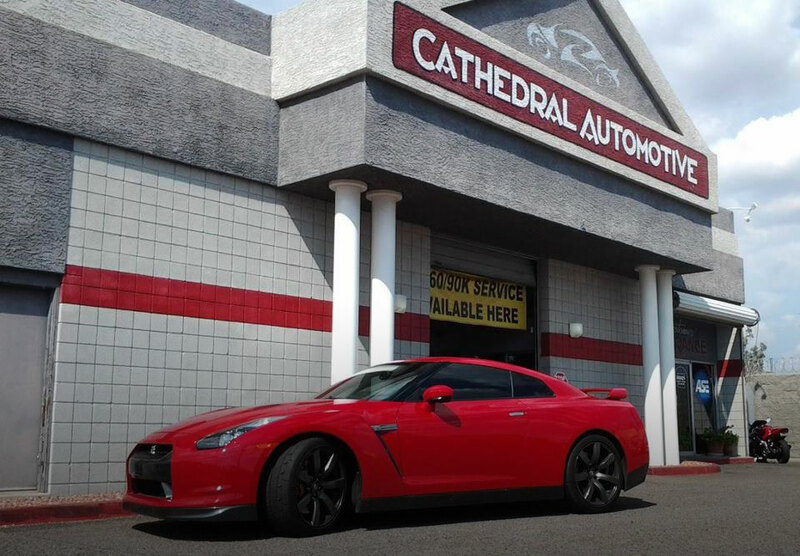 3130 E Greenway Rd Phoenix, AZ // Phone 602-867-1112 Contact Us! 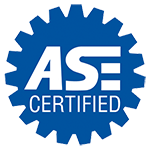 We service all makes and models – import and domestic – of cars, trucks and SUVs … from oil changes to engine exchanges and everything in between. 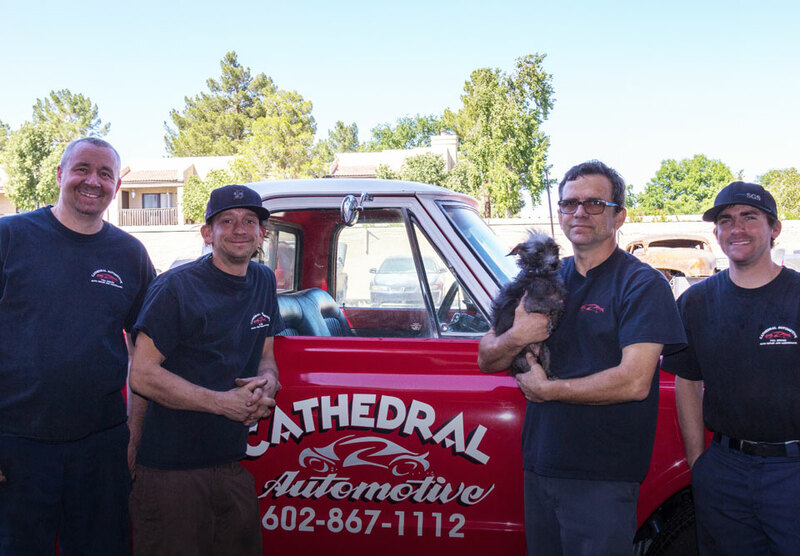 Complete auto repair and maintenance facility with 40 years combined experience caring for vehicles here in Phoenix since 1998. Excellent service. 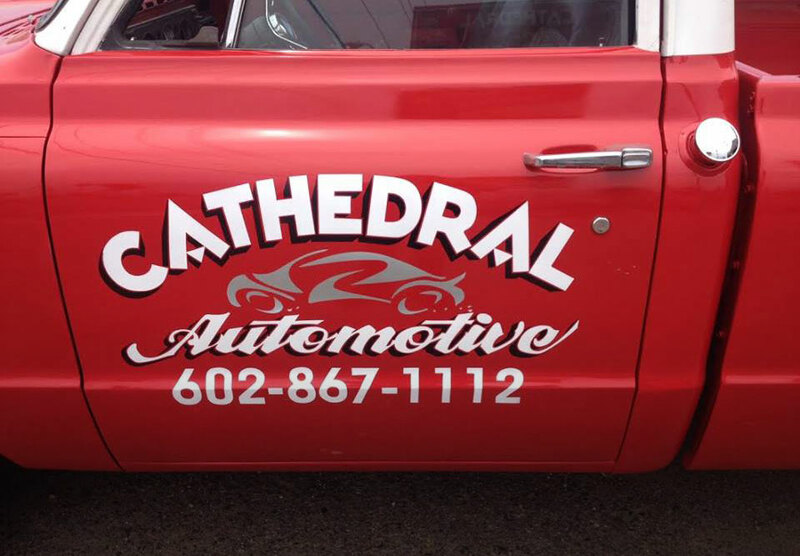 I’ve been going to Cathedral Automotive for nearly seven years. I refer my friends to Cathedral as I would you. Car repair can be a stressful dilemma, and it’s nice to know that the guys giving you the facts are doing just that. It’s not always what one may want to hear, but at least you know what you are up against. The guys at Cathedral have always been upfront and honest with me, and I go out of my way to go to their shop. In fact, early on when I’ve tried to go to other places to get something maybe a little cheaper, I end up going to Cathedral to get the other guys’ mistakes fixed. Cathedral has earned my respect, trust and loyalty. Thanks, guys, for being a reliable spot.